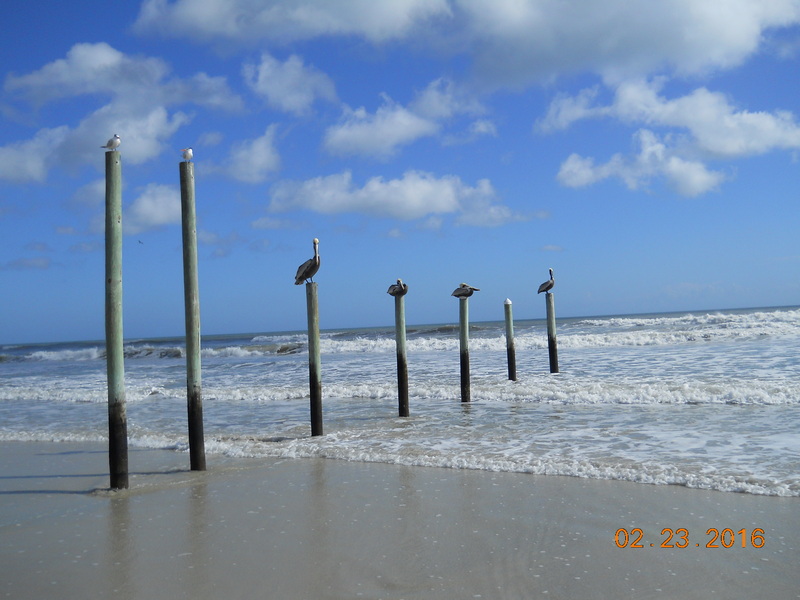 Categories: blogging, nature, photos | Tags: blogging, Daytona Beach, egparsons, elizabeth melton parsons, hawk, images, nature, nature photos, pelicans, photos | Permalink. The second shot is really something!!! wonderful! When do we see that one????? I love to watch pelicans. How I wish I were at that beach right now, Elizabeth. Enjoy! My observation: there must be some law of nature which decrees that every post must have an occupant – pelican, gull or other seabird. If a post is vacated, then another bird must occupy within the required maximum time. That’s my theory and I’m sticking to it! Okay. 😀 There are plenty of seabirds here to choose from. Those young stalkers drive my dogs crazy. 🙂 It’s fun to watch their ‘catch me if you can’ interaction . Hi Eric, mine is just a puppy and he doesn’t have sense enough to run and hide. I’m not! 😀 He’s a mini Dachshund 5 months old. About the size of a fox squirrel. There have been several attacks lately on dogs and cats and even people at the library in Port Orange. 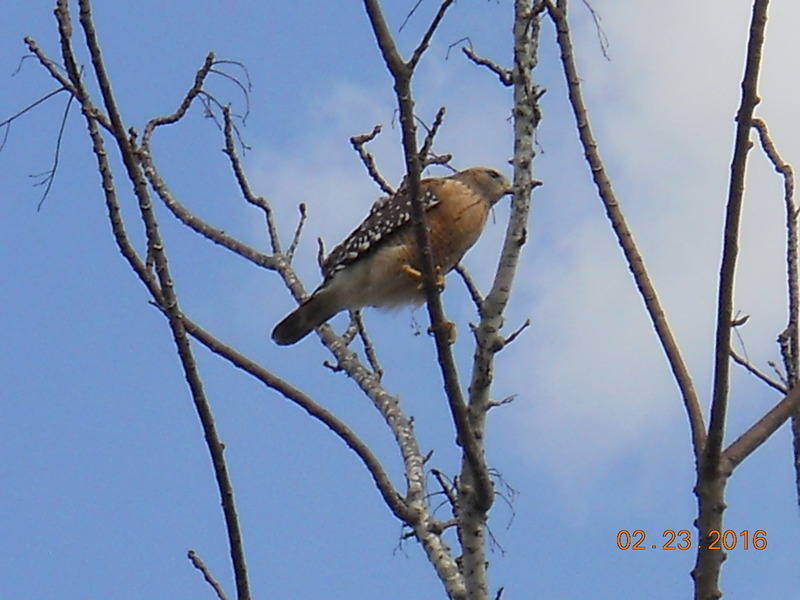 Of course in Port Orange they are guarding a nest-thus the people attacks. Lovely shots Elizabeth! Your poor little puppy – I hope those hawks leave him alone soon! Thanks, Clare. Will check them out. Go ahead and borrow it, Lucie. I’d love to read that story. Is it up already? Excellent!! Keep an eye on your wee doggie though! Thanks, Martin. And yes, they can be, but they have to be to survive. 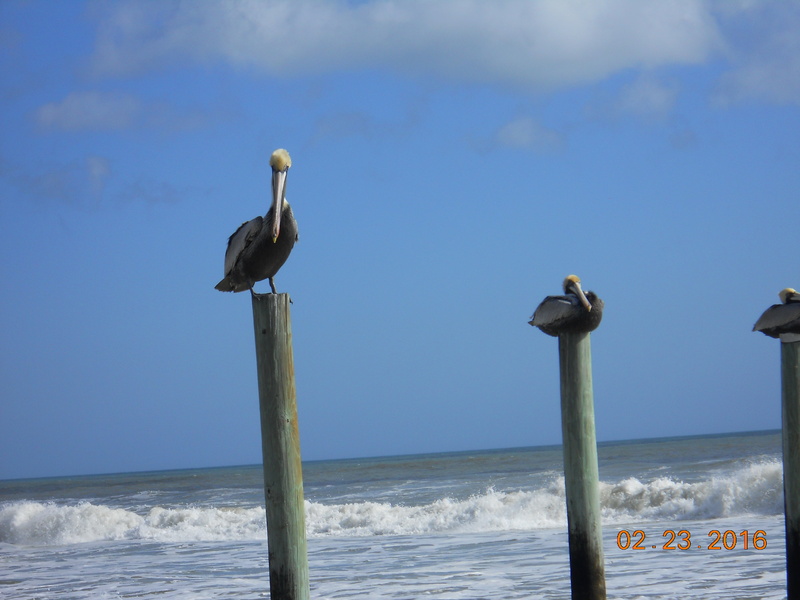 I love the photos especially the pelicans😊😉…eonder why they perch themselves like that? I see them everyday (when Im on the road)and if they’re not on the jetty they are up high sitting on the light poles… amazing birds!